Two additional stations are launching on local DAB digital radio multiplexes serving Cambridge, Kent, Norwich, Nottinghamshire and Sussex from January 2015. Listeners in these areas will be able to listen to Bauer Media's Heat and Kisstory stations broadcast alongside local radio stations in their respective areas. Heat brings the latest celebrity news and gossip, and is targeted at "upmarket 18-34 year old women." 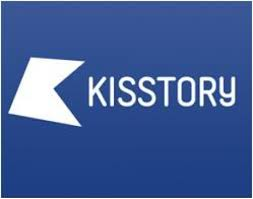 Kisstory is Kiss FM's offshoot station, playing non-stop "old skool and anthems." Ofcom paperwork requesting the changes confirm that the stations will be added to DAB on the 5th January 2015. Bauer Media is expected to confirm further changes to its DAB line-up soon: it's launching London's Magic as a national station on DAB, which means Absolute 90s will be moving to local DAB in some parts of the country. Apart from Classic FM, Freeview already has all the main national radio stations.